Salt Spring Apple Company is Peri Lavender and Brian Webster and we’re adding a new twist to one of the Island’s oldest agricultural strengths. Building on a century and a half of Salt Spring apple-growing, we’re raising more than 300 different varieties of heritage and connoisseur apples in our certified organic orchard. Planted on three spectacular, sloping, ocean-view acres, our orchard uses a high-density trellis system that looks a bit like a vineyard. When we’re fully planted, we will have more than 3,000 apple trees in our orchard. 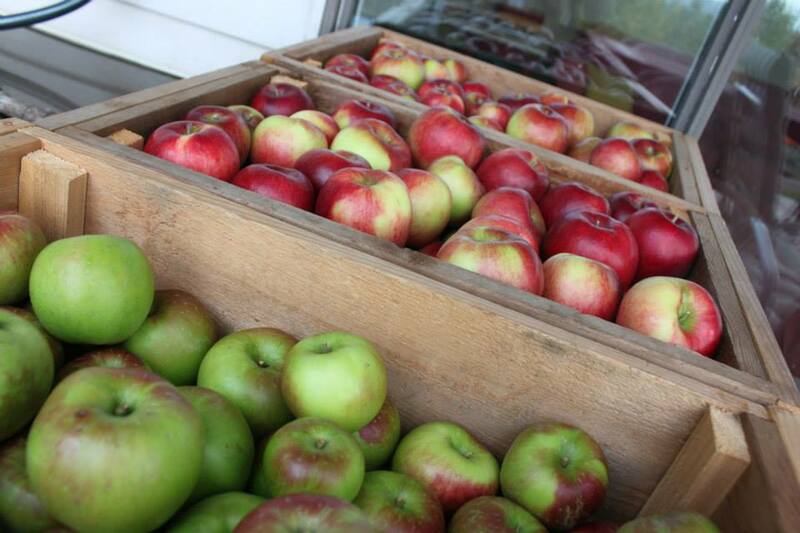 We bring fresh apples to the market when they’re in season, as well as delicious apple tarts, cakes and other treats. In addition, we sell potted apple trees, all grafted and raised by us. We can custom graft apple trees for those with something particular in mind; any of our 300-plus varieties – some extremely rare – are available by special order.